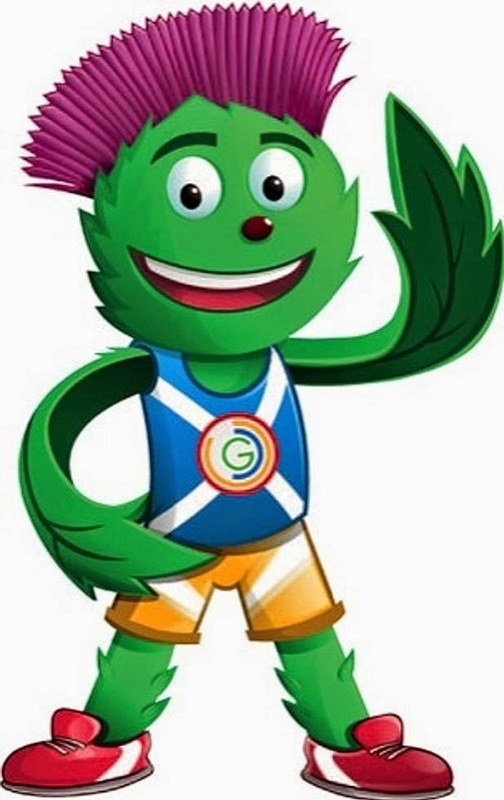 Even though by his own admission Glasgow2014 represented one games too far for Sir Chris Hoy as a competitor, he nevertheless appears to be everywhere here. On TV, radio, on posters and in the official programme – and one could argue without his intervention, Lizzie may yet still be waiting for Prince Imran to get her shopping list out of that baton thingy. 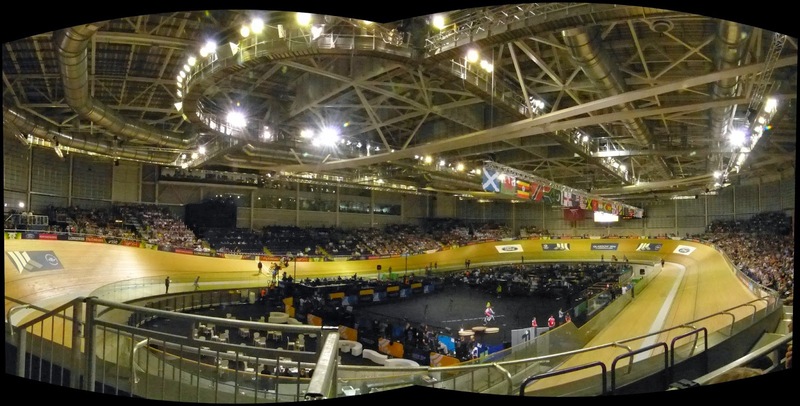 Plus the track cycling events are, of course, taking place at the Sir Chris Hoy Velodrome; a mere empty Buckfast bottle’s throw from Celtic Park in the east end of Glasgow. The main attraction at this the opening session at the venue was the appearance of another knight; Sir Bradley Wiggins who had chosen to ride for England in the Team Pursuit event, after being told his services were not required by Team Sky for the concurrently running Tour de France. And he did not disappoint, helping his team through to the final which was, regretfully, held not here and now, but at the evening session. Having said that, whilst I feel rather privileged to have witnessed the great man in action, it really was impossible for a novice like me to work out just which one of the four identical-looking riders was he. Perhaps had the competitors all competed without their tops, he could have been easily identified by his impressively extensive torso tattoos. The England Team Pursuit quarter line-up prior to their 4000m Qualifying ride. Sir Bradley is far lesft. it happened as I was still experimenting with the settings on my camera. But I feel it has a certain charm. This was a bit better. The Illustrated Knight - Sir Bradley Wiggins at Glasgow 2014. Another highlight was seeing Scotland (sort-of) win their first medal at the games, as para-cyclists Aileen McGlynn and Louise Haston guaranteed themselves at least a silver by qualifying for that evening’s final in the Women’s Sprint B2 Tandem. There were no crashes on the scarily precipitous track banking, the closest thing being when the tyre on the bike being ridden by Trinidad and Tobago cyclist Quincy Alexander came completely off the wheel during his Sprint Qualifying run. The fact he succeeded in maintaining his balance on an aluminium rim looked to be a medal-worthy achievement in itself I felt. This little chap was reluctantly coerced into pushing the Big Red Button to kick-off proceedings. He also suffered the brain-scarring humiliation of having a few thousand adults sing "Happy Birthday" to him. I am fairly sure this is Aileen McGlynn and Louise Haston during their Sprint Tandem qualifying run, but I am ashamed to say it could easily be their compatriots Laura Cluxton and Fiona Duncan. The Australian 4000m Team Pursuit lads. Azizulhasni Awang from Malaysia during the Men's Sprint First Round. just edged out by eventual silver-medallist Jason Kenny.